Emil talks about what it takes to be a rock musician. He is mainly talking to musicians in touring bands or if you want to get to that level. This is the most perfect thing that makes a lot of sense. Thanks Emil. This is a really good lesson. Thanks Emil. What a great bloke. Love your work Emil. More stuff like this! Great! If I ever make it into a band, I'll be sure to keep this in mind ! 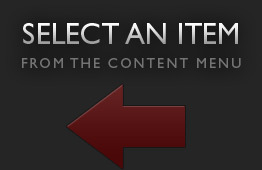 You forgot to put up the tabs for this one though :P! this is deffinitly something that any musician should watch. I have to WORK for a living? Woo, hold on.. I voted for Obama! i agree totally with dennis hodges and everything emil said in this video!! love this video! You helped me realise stuff i was aware of unconsiously, thanks for pointing it out. Your straight forward and righteous. Good stuff Emil - particularly about recording. I'm pretty sure no one who thinks it's funny, or no big deal to pirate music has gone through the work and expense to produce a recording project themselves. Emil keepin it real. Should be required viewing for every Jamplay member. I'd like to see more videos like these, being a guitarist certainly expands past just playing the music. I must say that after the other day's live chat and this video, I've acquired great respect for you, Emil! I've thought I've sucked since I started playing....but it's more that I'm always had players better than me. I can do a cover of a Santana solo, and then listen and be like "damn it, what a thin tone and I can't sustain the bends like on the record". I'll probably never be completely happy with my playing. I don't think it's a bad thing but I think perfectionism can be a bad thing when you've got an hour to record and are paying big bucks to do so and keep having to redo a solo because it isn't up to your standards. Everyone, regardless of any performing ambition, should have a look at this lesson in its entirety. Dispels the myths with a straight up no nonense approach straight from an experienced performer. this may be one of the best videos on here. Tackle advanced playing techniques and theory application with metal talent, Emil Werstler. JamPlay is proud to introduce our newest instructor, Emil Werstler of Daath. In Emil's first lesson, he teaches his down picking technique using a riff from "Ovum," a song by his band Daath. Emil teaches how to practice bending. He also demonstrates various vibrato techniques and explains how to incorporate them into your playing. Emil shows you a different way to play the pentatonic scale by combining boxes and playing in groups of 4. Emil shows three example exercises that focus on sweeping up and descending alternate picking. Emil shows exercise examples on 2 string licks that feature economy picking. Emil Talks about his band Daath. Topics covered include the history of the band, the writing process, ozzfest, and more. Emil teaches one string, horizontal soloing concepts. Emil teaches the concept of pitch axis. Emil sat down and gave us a little bit of history about his main guitar and also some of the specs. Emil talks in depth about various topics including theory, goals and balance in your playing, getting out of a rut, his influences and more. This minor idea lesson is the first part in the five part mini series on horizontal lick building. Here is the second lesson in the mini series of lessons on horizontal lick building. Emil shows you the Major idea here. In this lesson Emil shows you a horizontal pentatonic lick that you can cycle. Emil Werstler shows the fourth lick in this mini series of lessons. This lick is dominant in quality. In part five of the lick building series Emil puts all the ideas together to create this master example. Emil shows you how he incorporates chromaticism into pentatonic licks which adds a unique twist. Emil shows how he incorporates chromaticism into some diminished runs and licks which really makes for some exotic sounds. Emil covers different topics related to playing and performance in this interview segment. Emil talks about what he accomplished in 2010 and his new batch of lessons. Emil provides a lesson on alternate picking warm-up exercises. Emil talks in depth about the concept of "chord scales" and how they can be applied to a practical musical context. Emil explains how the use the pentatonic scale without sounding "pentatonic" or bluesy. Emil takes an in depth look at triads. In this lesson, Emil explains how arpeggios can be used within a solo to effectively outline the chord changes. He uses the 12 bar blues form as an example. 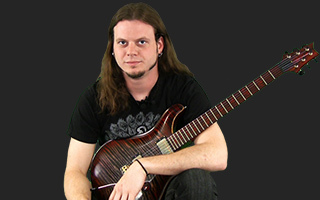 Emil continues to discuss how arpeggios can be used effectively within a solo. Emil expounds upon his previous lesson on "wide form" pentatonic patterns and the licks that can be played within them. Emil shows more ways to incorporate chromaticism into your playing. Emil demonstrates some ways to bust out of the power chord rut with some creative voicings that work well with a high gain tone. Emil continues his teachings on alternate chords for metal with a look at drop tunings. Emil covers his current warmups that he uses before he goes on stage with his band, Daath. Emil covers minor blues concepts. Emil shows how some of his favorite players use octaves in their own unique way. Emil demonstrates some fingerstyle comping techniques that can be applied to a 12 bar blues progression. Emil takes you through some techniques that he uses frequently in his style of playing. Emil shows some cool muting techniques that produce a unique percussive sound. Emil talks about what it takes to be a rock musician. Emil Werstler is back with a lesson on basic harmony. He explains why it is important for every guitar player to understand harmony and teaches basic chords as a foundation. Emil explains some harmonic minor ideas that can spice up even then most generic sounding licks. Emil covers his philosophy on warming up and provides some exercises that will get the job done. Emil shows you 3 common blues chord progressions. These progressions are the basis for his improvisation lessons coming up in the series. Emil shows you how to make diminished arpeggios sound more dominant. Doing this can make your playing sound less neo-classical and predictable. Emil clarifies his take on economy picking and the art of the rest stroke. Here is a lesson on how to not just get good at warmup exercises but getting better at playing music - while warming up. About Emil Werstler View Full Biography Atlanta based guitarist Emil Werstler is a force to be reckoned with. He is the lead guitarist of the band DAATH (Roadrunner Records / Century Media) and has made a serious name for himself in the guitar world in a very short time. Performing worldwide with his main project DAATH on notable tours such as Ozzfest and along side well established acts such as Unearth, Devil Driver, Dark Funeral, and Job For A Cowboy, Emil continues to gain strength and credibility as one of the most sought after guitarist's in his genre to date. Recent projects Emil has been featured on, include Austrian Death Machine and guest solo's on "Guitars That Ate My Brain", a 2009 release from Magna Carta Records as well as Arsis's album United in Regret. In addition, Emil was one of the few featured artist's asked to perform at the Experience PRS 2008, a great feat for a guitarist in his scene.